I’m assuming your grill is still warm and toasty from yesterday’s festivities. Let’s put some pineapple on it! 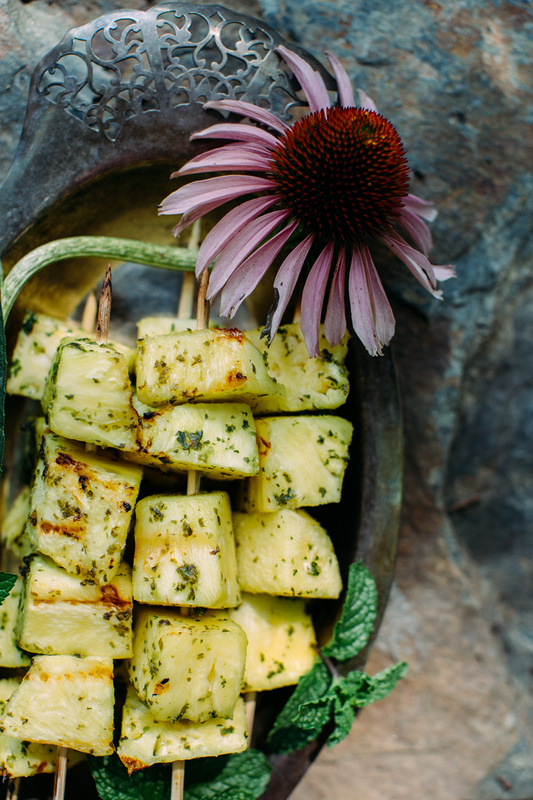 Grilled pineapple is one of my favorite things. I love it even more when it’s a bit spicy like here and here. This jalapeño basil sugar rub is so easy to make and tastes like a summer party in your mouth. Party on you party people! 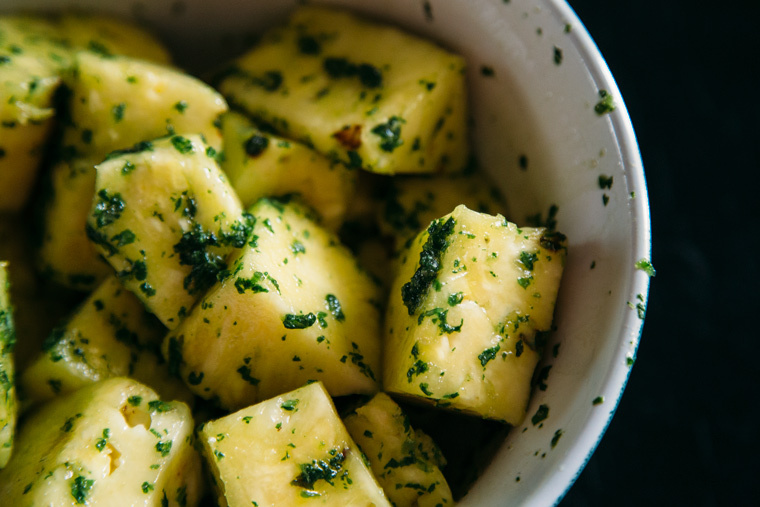 Chop up the pineapple into large cubes. Place the basil, sugar, jalapeño and pinch of salt in food processor to grind up – or you can use a mortar and pestle. In a large bowl, use your fingers to marinate the pineapple with the sugar rub. Place on skewers and grill them up! 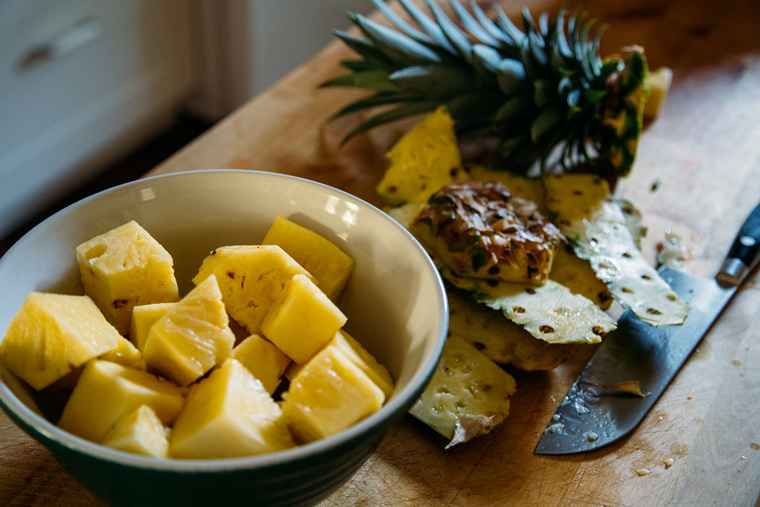 Chop up the pineapple into large cubes. 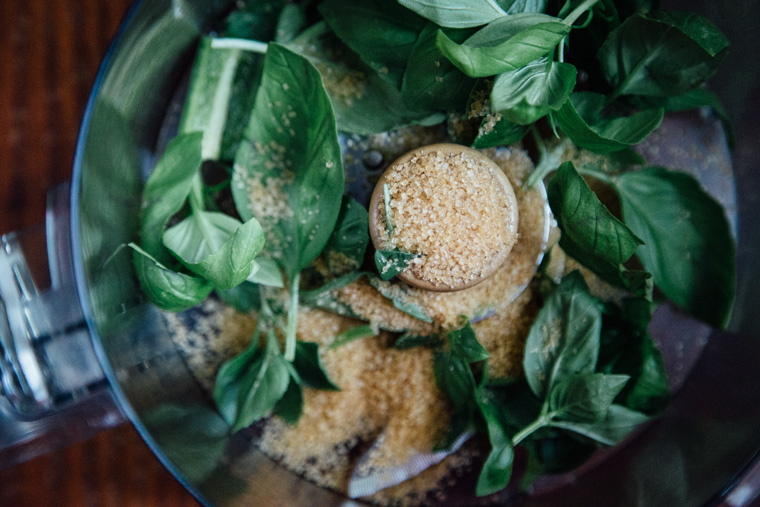 Place the basil, sugar, jalapeño and pinch of salt in food processor to grind up – or you can use a mortar and pestle. In a large bowl, use your fingers to marinate the pineapple with the sugar rub. 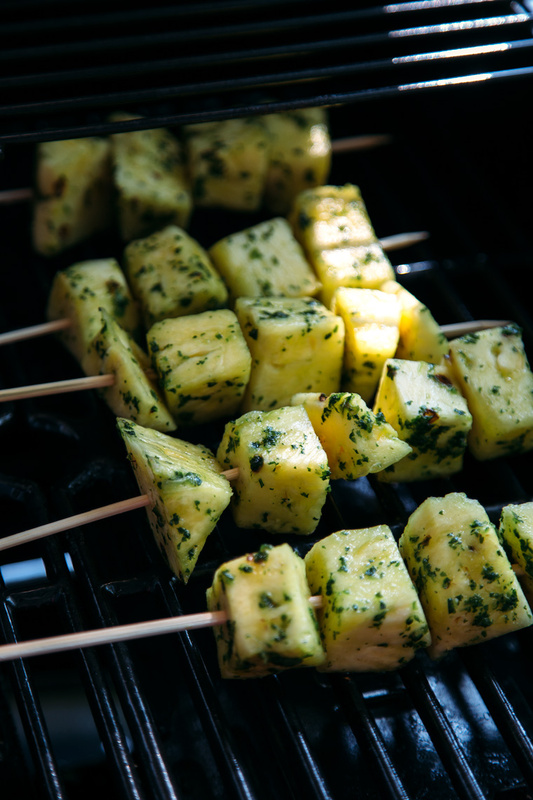 Place on skewers and grill them up! Want more fruit on a stick? 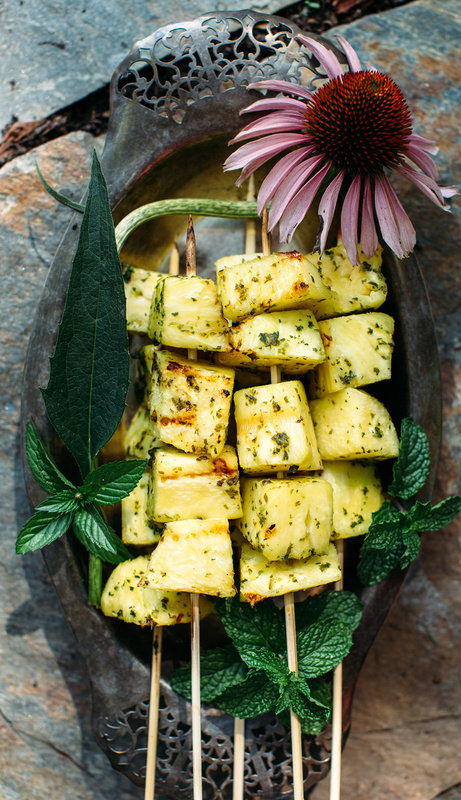 These melon skewers from my friends at Goldmine look fabulous! Hi Grace, this look wonderful, your presentation is amazing! Your pictures are amazing!! I love your blog! Thanks for sharing this. Looks delish! I was just talking about the jalapeno basil sugar this weekend! I love these pictures, gorgeous as usual! Yay Kelly! We’ll have to make it again soon! So fun! Dang! Molly’s in the house! Thank you! Friend, I loooooove this recipe. Yes to pineapple and jalapeño combo! ANd your pictures are GORGEOUS! Hope you had a great 4th! Pineapple and jalapeño are made for each other! Thank you so much Olivia! 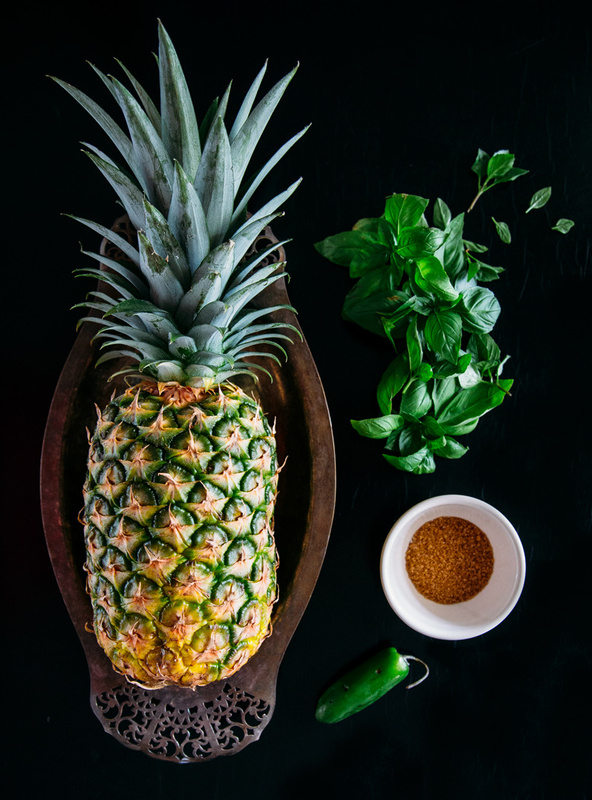 I can see how the basil, coconut sugar, and jalapeno go well with pineapple, but I would have never thought of it myself. What a creative combination! Thank you Katie! These are the tastes that sum up summer!